Former two-division world champion Badou Jack hosted a media workout at Mayweather Boxing Club in Las Vegas Thursday as he prepares to take on unbeaten top contender Marcus Browne for the WBA Interim Light Heavyweight Title Saturday, January 19 on the Pacquiao vs. Broner Showtime PPV event from the MGM Grand Garden Arena in Las Vegas and presented by Premier Boxing Champions. "I feel young and like I'm still improving. I take care of my body every day. Age won't be a problem for me, it'll be an advantage. "I'm a confident fighter. I don't need to talk and brag about everything. I'm just comfortable; inside and outside of the ring. "I'm battle-tested. I've been in there in tough fights. He hasn't been tested like that, so we'll have to see what he's capable of when the pressure is on. "Marcus Browne is an athletic and skilled fighter. But it's a little different to fight on the prospect and contender level versus on this world class level. "One of my biggest strengths in the ring is my ability to adjust. My trainer, Lou Del Valle, has really helped in that regard. He's been in there as a world champion like me on the big stage. He knows so much about boxing. "This is nothing new to me. I've been on a lot of big cards, so this is a regular day on the job. It's exciting as always and I can't wait to put on a good show. "I feel like it's my duty to give back outside of the ring. With this platform that I have, why wouldn't I? 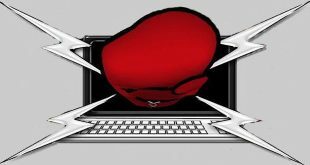 We should use this platform for something deeper than boxing." "It's a really good fight. 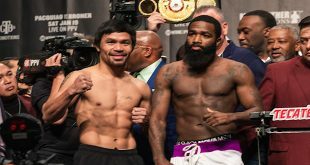 Pacquiao looked pretty good in his last fight, but Broner is very talented. 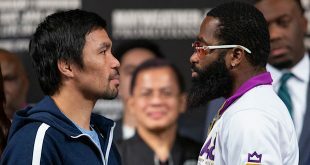 Anything can happen in boxing, especially because Broner has a good chin and can fight. He just has to stay focused." "Camp has been amazing. Every camp has just been better and better. He has improved on his weaknesses each time we work together. It's incredible that a guy who's 35-years-old can keep performing the way he is and still be getting better. "We know that we have to be careful because Marcus is a good fighter. Everyone we fight at this level is quality. We're only fighting champions and guys with the top pedigree. The better the fighter, the better we get. "I don't think that Marcus Browne wants to go the distance with Badou Jack. If you notice in previous fights, guys who fight Badou are not the same after. He takes a lot out of them and I think it's going to happen again. Marcus is going to go for the early knockout, but we're ready. "The experience gap is a big difference. I had only fought one 10-rounder when I first fought for the title, but I still thought that I could beat him. The experience that Virgil Hill had over me was really difficult to overcome and I think you'll see something similar play out in this fight." "I think that this is going to be a very competitive fight. You have two guys in this fight that are very hungry. 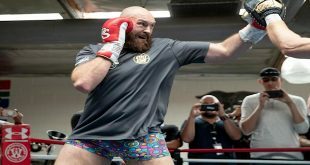 There are a lot of options in the light heavyweight division, and it's all about timing. This fight gives both guys a chance to prove that they want to be the best and make a great statement. "This fight has a very good chance of stealing the show. I like the fact that Marcus is very confident. If you're in a big fight, you have to be. Badou is even-keeled, and he comes with his workman-like approach to every fight. "Experience is everything in big fights. It's a big deal when you're under those lights. Going the distance with top guys, and knowing how to break guys down, it all plays a big role in fights like this."